Back to work, back to school. After an activity-filled summer, the Gluten Free Philly clan has resumed its "normal" routine. The weekend before Labor Day, we attended the Celiac Awareness Day at the Reading Phillies game - I came thisclose to catching a foul ball on two occasions. The all-you-can-eat gluten-free buffet had hot dogs, chicken, pasta salad, cookies and more. The stadium there is 60 years old but has a wonderful charm; the team itself has been affiliated with the big-league team for more than four decades. Since I first wrote about the event a few weeks ago, October's Appetite for Awareness extravaganza - organized by the National Foundation for Celiac Awareness - is taking shape. Amis, Broad Axe Tavern, Buddakan, Butcher and Singer, Casona, Chifa, Fleming's Prime, Giorgio on Pine, Le Castagne, L'Oca Bistro, Osteria, Pasta Pomodoro, Rouge, Vetri and Zahav are among the participating restaurants. Vendors include South Jersey pasta companies Caesar's and Conte's and local bakeries Sweet Christine's, Sweet Freedom and Virago, in addition to national bakers like French Meadow, Glow Gluten Free, Rudi's, Schar and Udi's. Tickets are still available, and the NFCA continues to seek ad book submissions. Ads are not only for businesses but also for individuals, who can also use them to honor or commemorate the "Silly Yaks" in their lives. The ad deadline is set to close on October 1, so act quickly. In last week's post, I mentioned that a new line of gluten-free crab cakes are now available at some local ShopRite supermarkets. This week, I reviewed two of Rudi's Bakery's new gluten-free breads. Also take note of two new additions to the blog: a separate map for Philadelphia restaurants and a tabbed page for upcoming events. 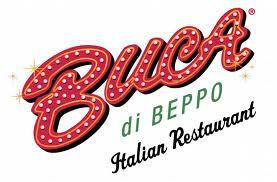 Leading off the restaurant news is word from reader Leslie M. that Buca di Beppo has a gluten-free menu with salads, chicken, veal and salmon entrees, and sides. The family-style Italian's area locations are in Center City Philadelphia (258 South 15th Street, 215-545-2818), Exton (300 Main Street, 610-524-9939) and Wyomissing (2745 Paper Mill Road, 610-374-3482). Another branch is opening soon in Wynnewood (260 East Lancaster Avenue, 610-642-9470). Pizza is proliferating in these parts. The just-opened Seasons Pizza in Aston (2755 Pennell Road, 610-485-1000) is carrying gluten-free pizza; the chain's location in Wilmington's Midway Plaza (4723 Kirkwood Highway, 302-998-6500) has also picked it up. Gluten-free pies are now at Giovanni's Big Daddy's Pizza in Pottstown (1300 North Charlotte Street, 610-323-8055), Brazzi Brick Oven Pizza in Manahawkin (601 Route 72 East, 609-597-8161) and Piccolo Trattoria in Newtown (32 West Road, 215-860-4247), which also has pasta. Reader Rich S. points out that the kitchens at the Blue Point Grill, a seafooder in Princeton (258 Nassau Street, 609-921-1211) and The Yardley Inn in Yardley (82 East Afton Avenue, 215-493-3800) accommodate gluten-free diets. The latter uses wheat-free tamari in its soy-based sauces and dressings. Dock Street Brewing Company's Sudan Grass Ale is now available on tap at the West Philly brewery. Today marks the official opening of Mt. Airy's Food For All allergen-friendly market. As I wrote back in June, all of the prepared foods and many baked goods and other products will be gluten free. Woodchuck Hard Cider has partnered with individual Vermont pumpkin growers to produce the world’s first pumpkin cider, just in time for Oktoberfest. 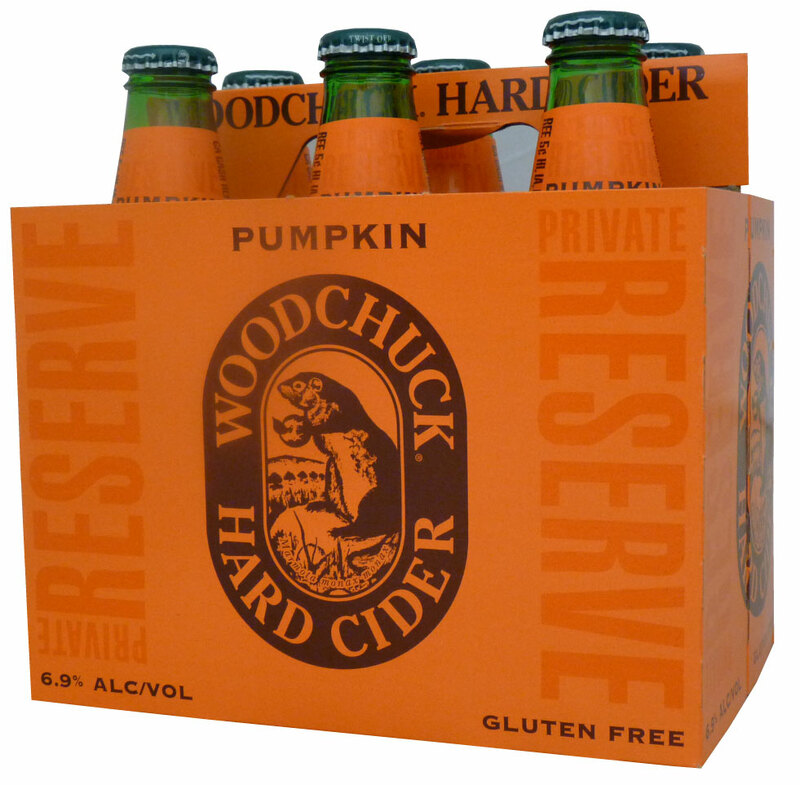 The Private Reserve Pumpkin is a high-end cider with a 6.9% alcohol content (compared to Woodchuck’s 4% and 5% for core and Limited Release styles). The limited-edition cider is being shipped to wholesalers at the end of September and into October. Also this fall, Woodchuck springs its Fall Cider Limited Release, featuring a bouquet of autumn spices starring cinnamon and nutmeg and balancing out the taste with a hint of American white oak. 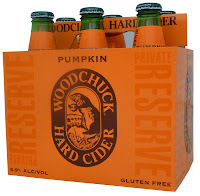 As with all Woodchuck Ciders, Limited Releases, and the brand new Private Reserve Label, both the Woodchuck Fall Cider and Woodchuck Pumpkin Cider are naturally gluten free. 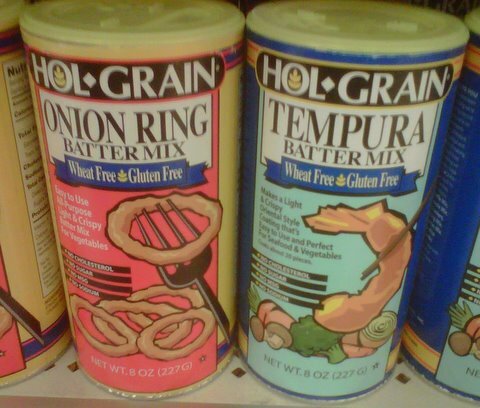 Hol-Grain's newest gluten-free products are Onion Ring Batter Mix and Tempura Batter Mix. I found them at the Cherry Hill ShopRite, but they can be ordered direct from the company. The Celiac Center at Paoli Hospital presents an evening with NFCA founder Alice Bast as she shares her personal experience with celiac disease and the strides that have been made for people living with the disease. The event will be held on Thursday, Sept. 16 at 7 p.m. and will take place at the hospital's Potter Room (Zone B, Level 1), located at 255 West Lancaster Avenue in Paoli. To register, call 1-866-CALL-MLH. The Whole Foods Market in Princeton is hosting a store tour of its gluten-free offerings on Thursday, September 23 at 4 p.m.
Sur La Table has scheduled two gluten-free baking classes this month - one in Marlton on Sunday, September 26 and another in King of Prussia on Monday, September 27. On the menu is Banana Bread, Double Chocolate Muffins, Buttermilk Biscuits, Chocolate-Dipped Coconut Macaroons and Garden Veggie Pizza. The cost is $69 per participant. On Wednesday, September 29, the Chester County Gluten Intolerance Group is sponsoring a dinner at Catherine's Restaurant in Unionville.The cost of the three-course BYOB meal, which will run from 6 p.m. to 8 p.m., is $55 including tax and gratuity. Call the restaurant at 610-347-2227 for reservations and additional menu details.